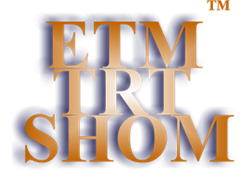 SHOM™ extrapolates elements of the Etiotropic Trauma Management™ (ETM) modality for crisis response organizations to communities, cultures, nation states (countries), civilizations. Its purposes are to counter hegemonic (attacking) thought ─ including ideological, political, religious cult ─ models that use criminal violence (for example, terrorism, guerrilla warfare and local hostile gang activities) to undermine, countervail or otherwise disrupt the rational functioning of opponent consensually organized and operated societies. SHOM is an integrated component of Etiotropic Trauma Management™ (ETM) which administers the Etiotropically structured clinical model Trauma Resolution Therapy™ (TRT) in organizational settings to achieve strategic management goals.